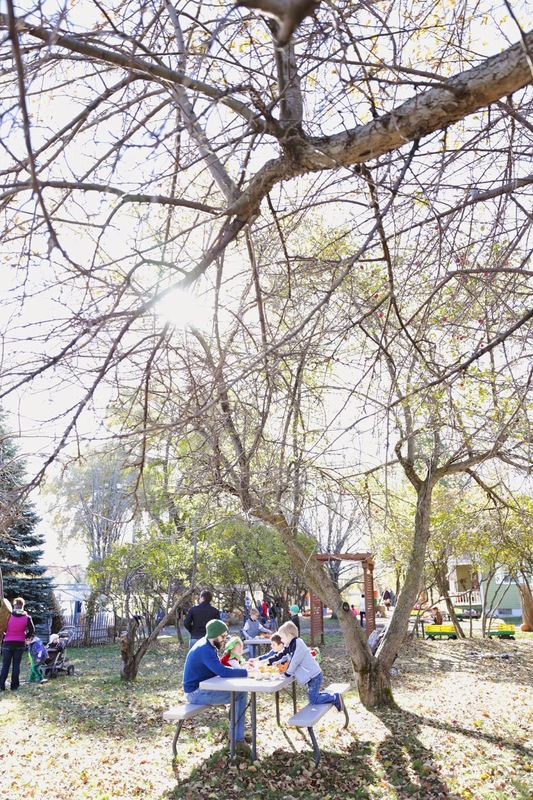 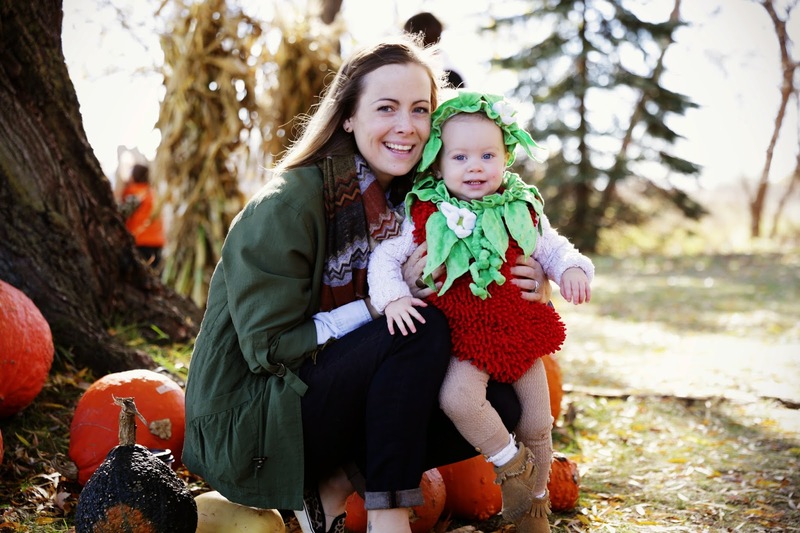 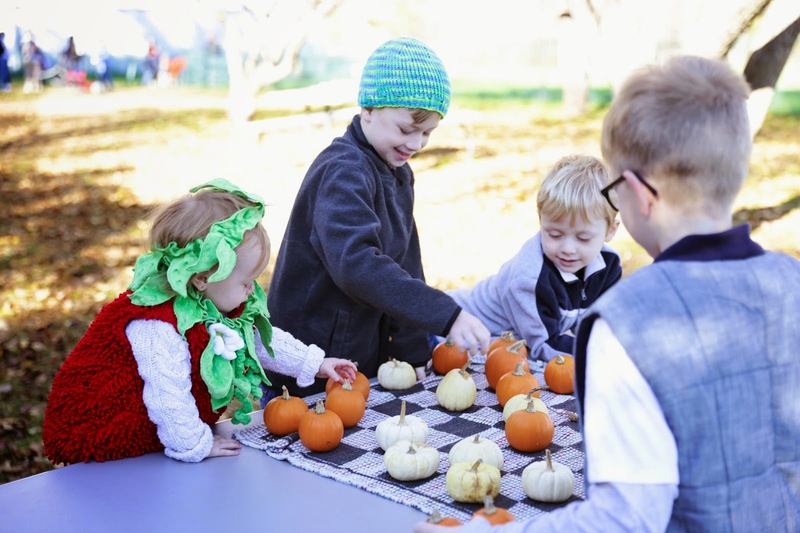 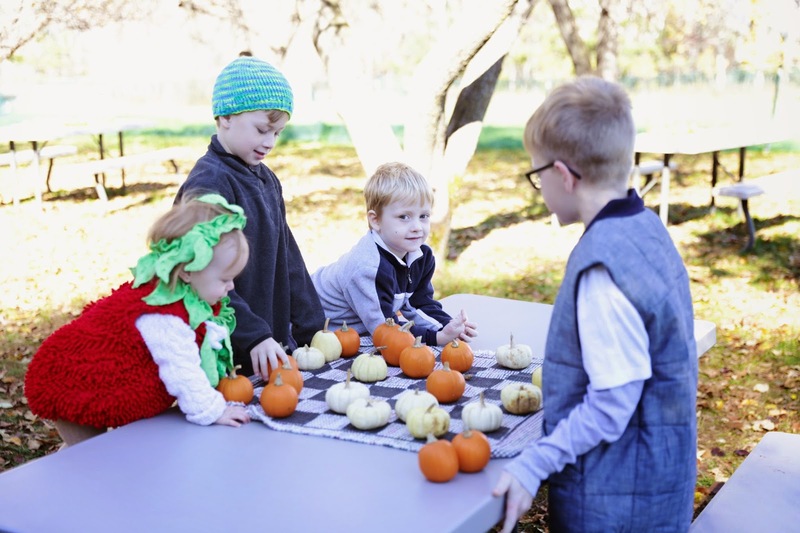 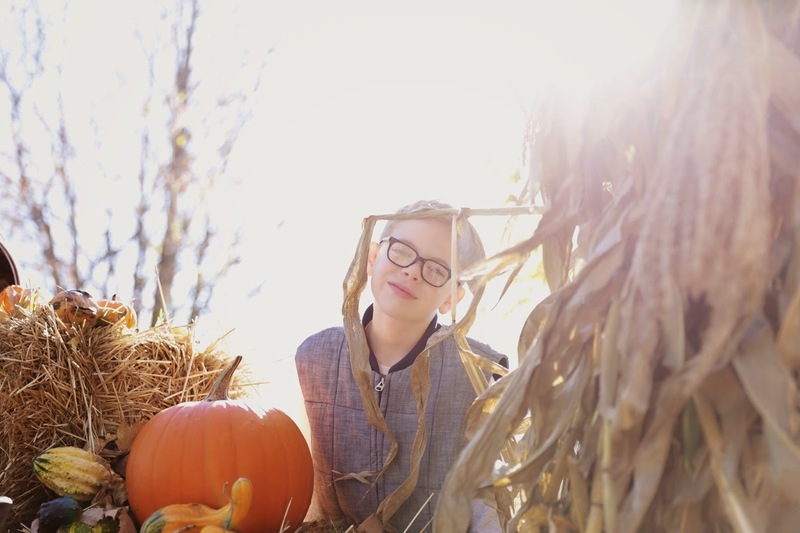 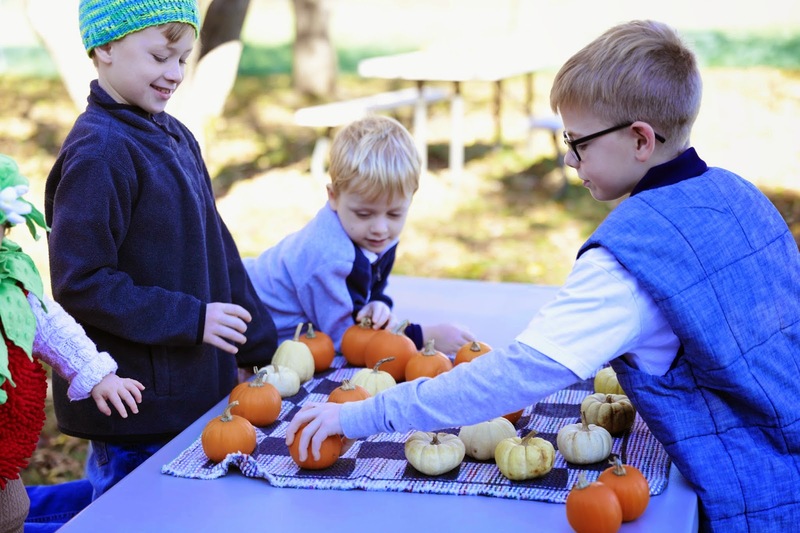 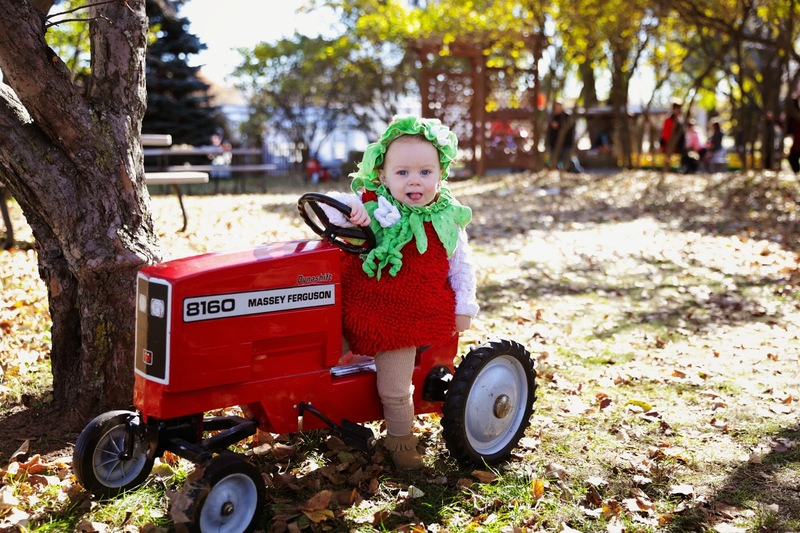 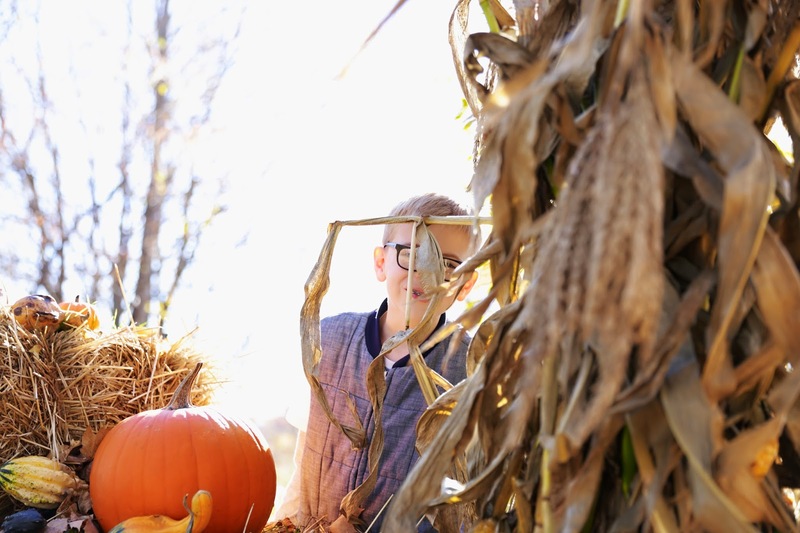 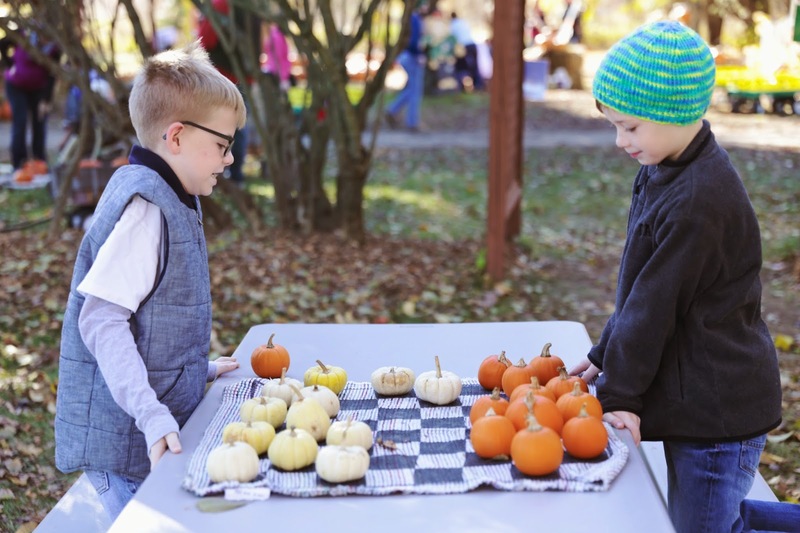 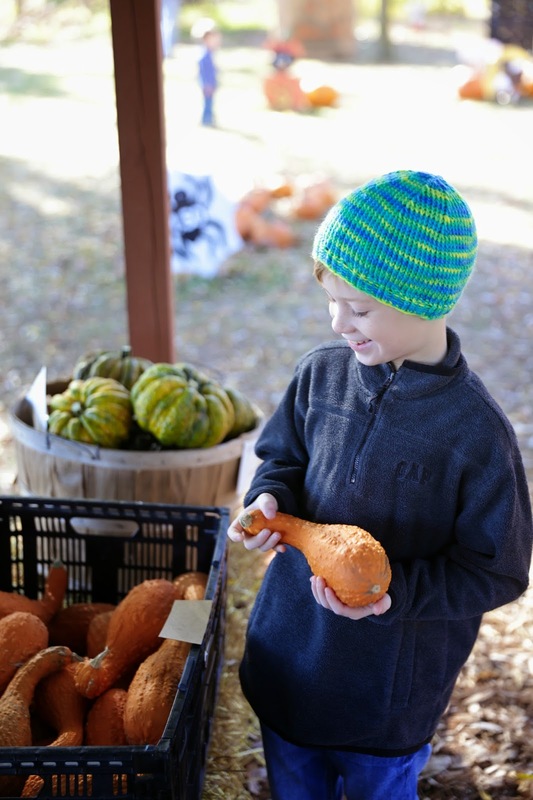 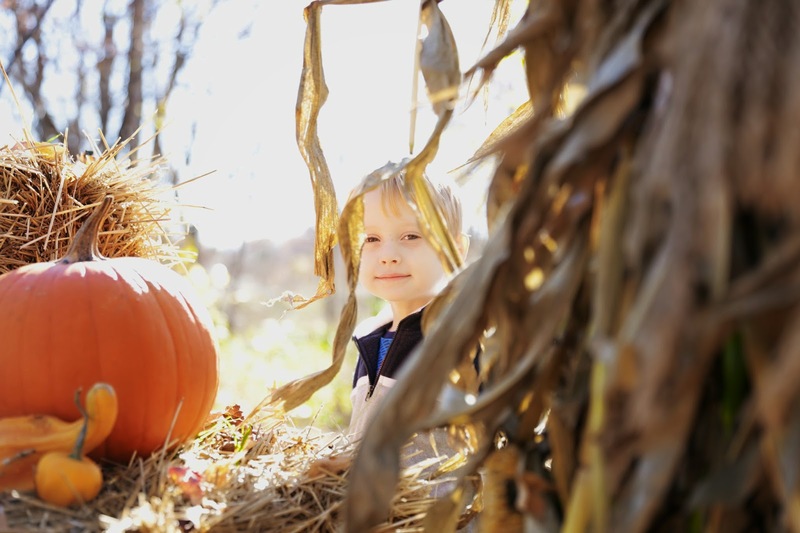 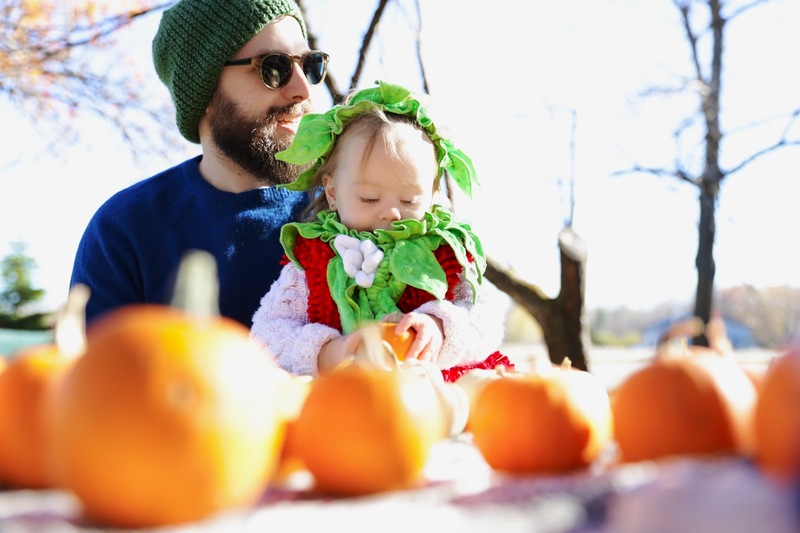 With Halloween a few days away and the cold weather heading our way, well, this weekend was one to get outside as much as possible and to enjoy the pumpkin patch one last time. 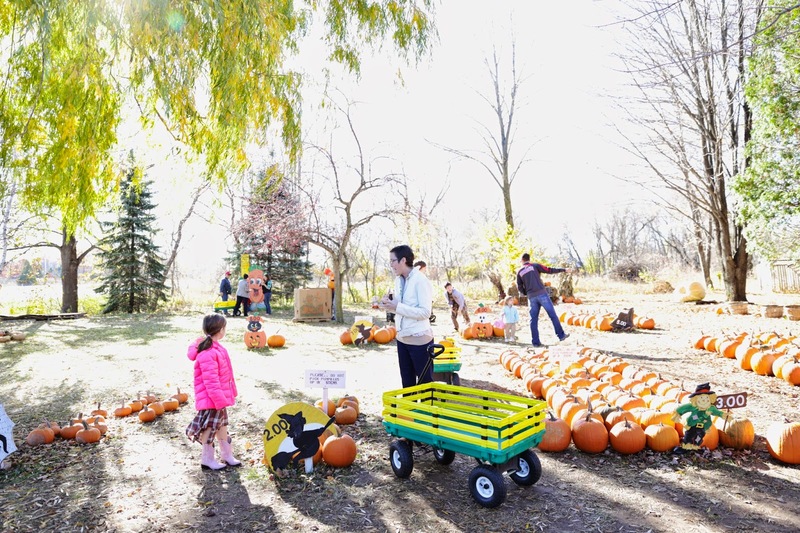 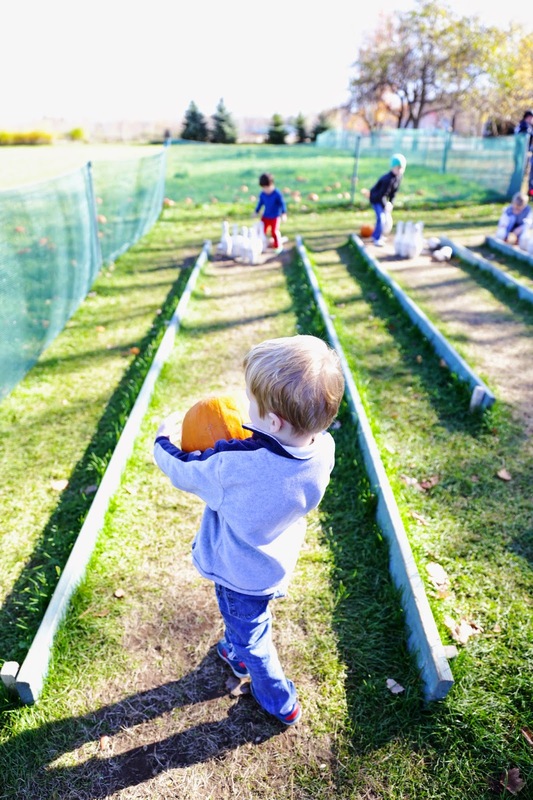 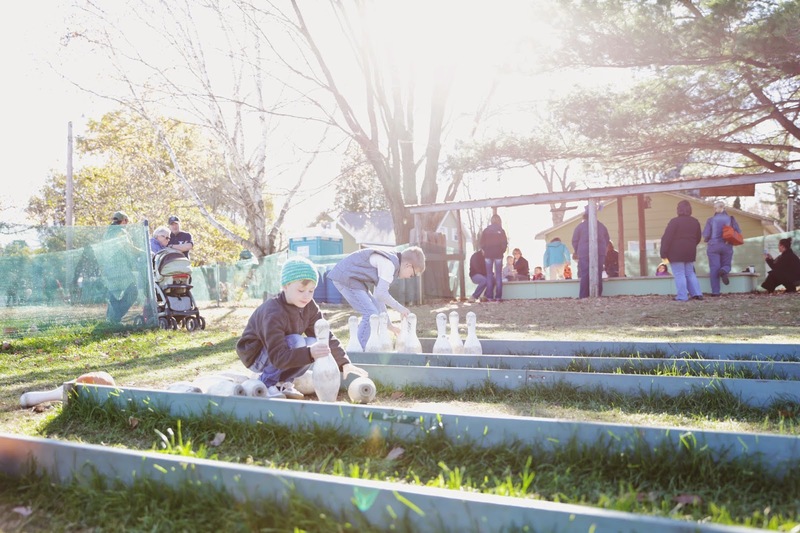 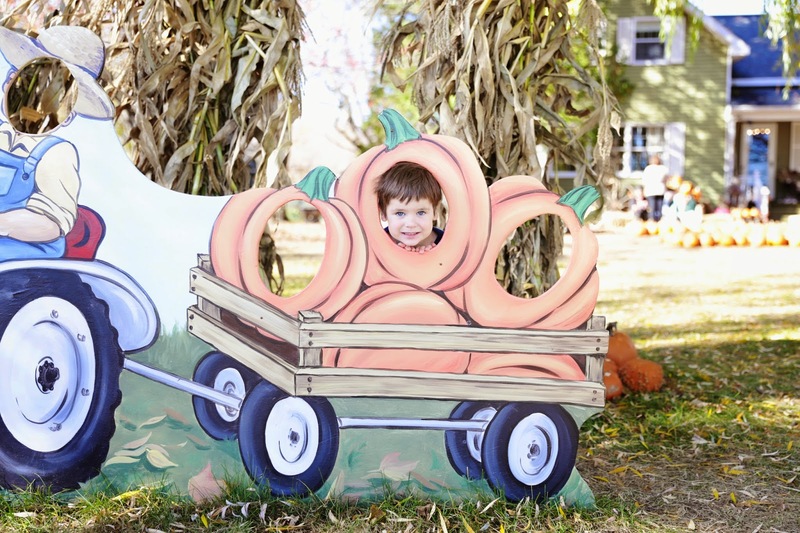 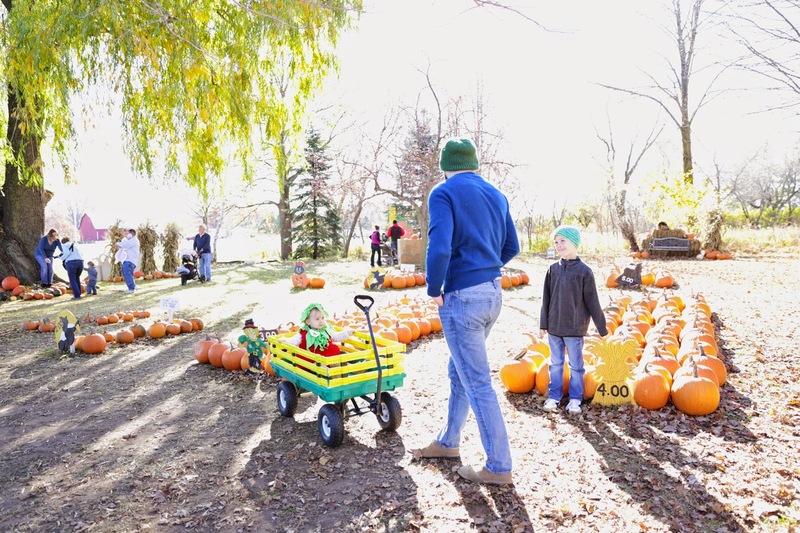 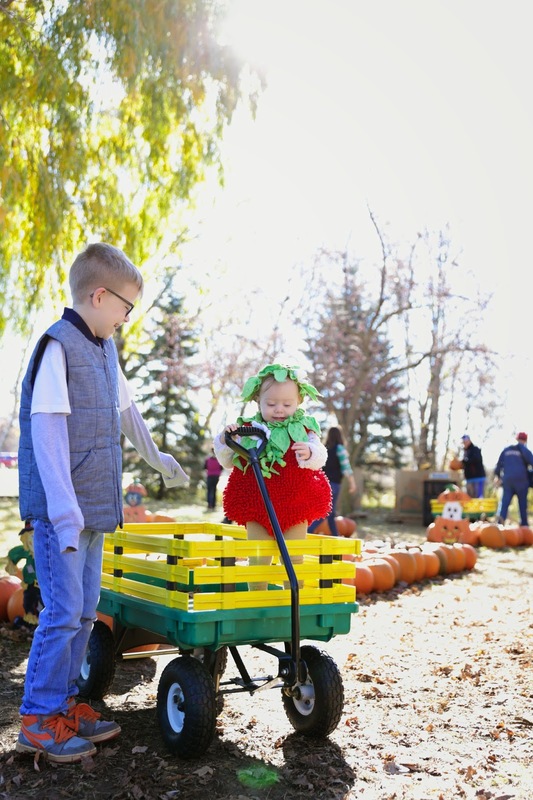 We went out with the fam to The Pumpkin Place (here's a trip there from last year - the kids look so much younger!) 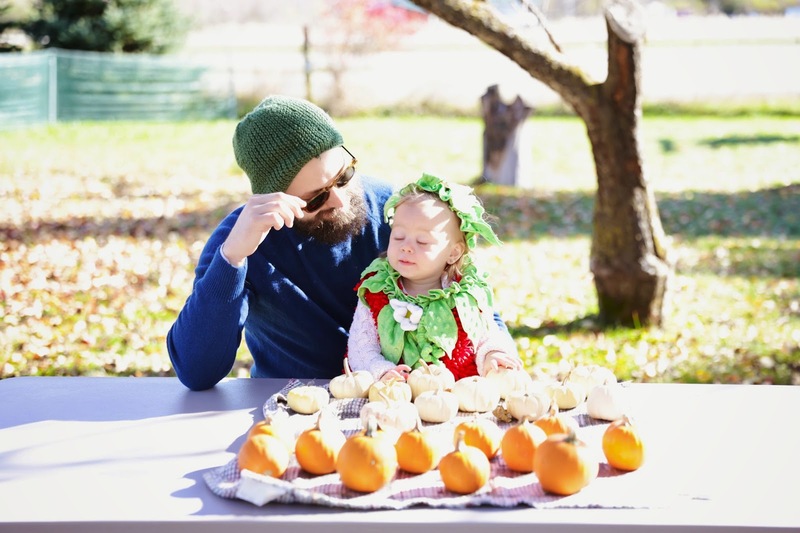 and as it turns out, this sweet little place is closing down so I'm happy we were able to enjoy it one final time. 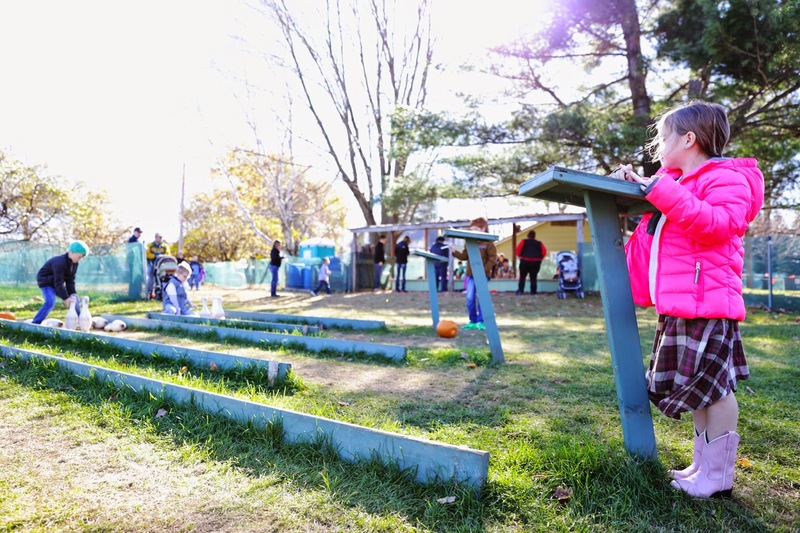 It was a beautiful day, with lots of toasty sunshine, and everyone had a ball. 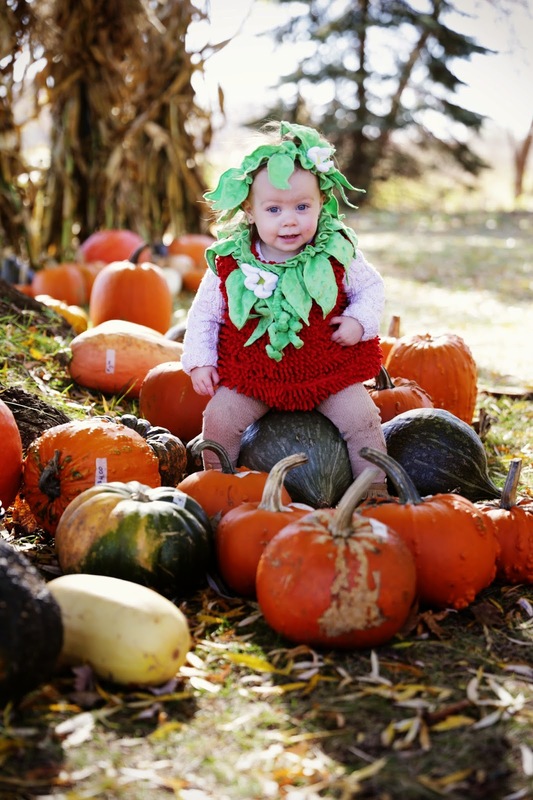 Scarlet thinks pumpkins have one purpose and that is to hold her little tush. 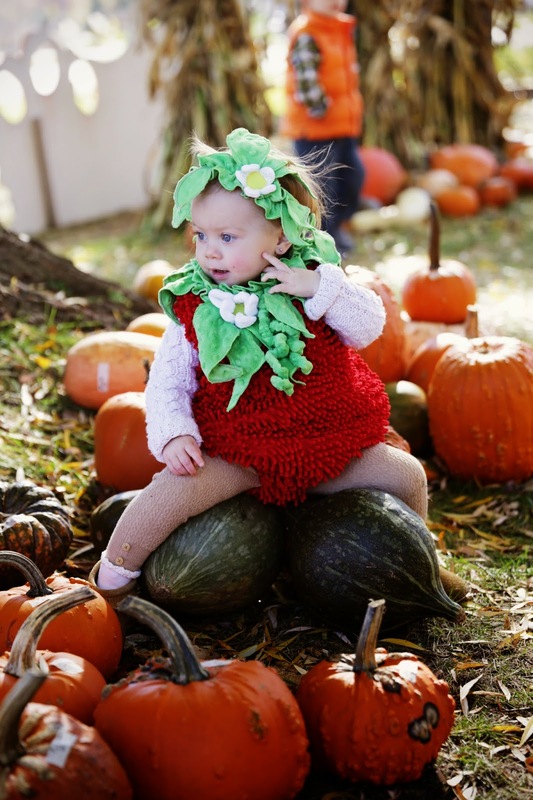 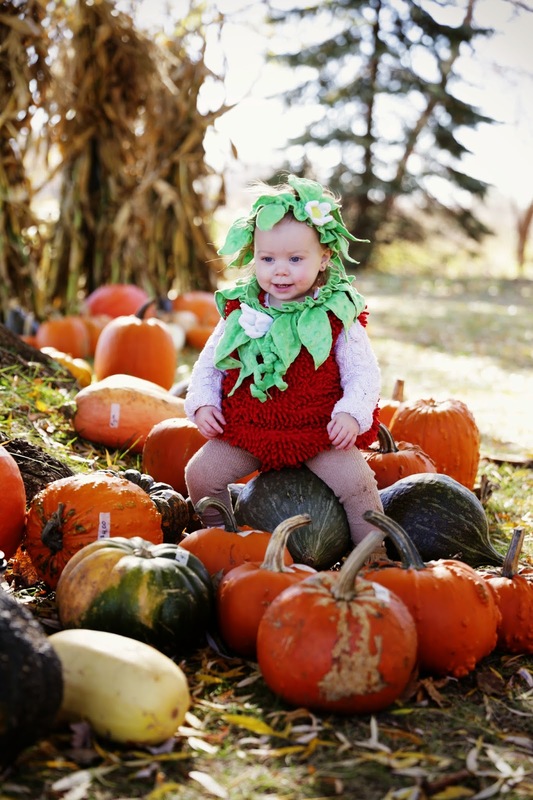 You'll notice all the fine squats as she positioned herself over the gourds for photos, sending us into fits of giggles. 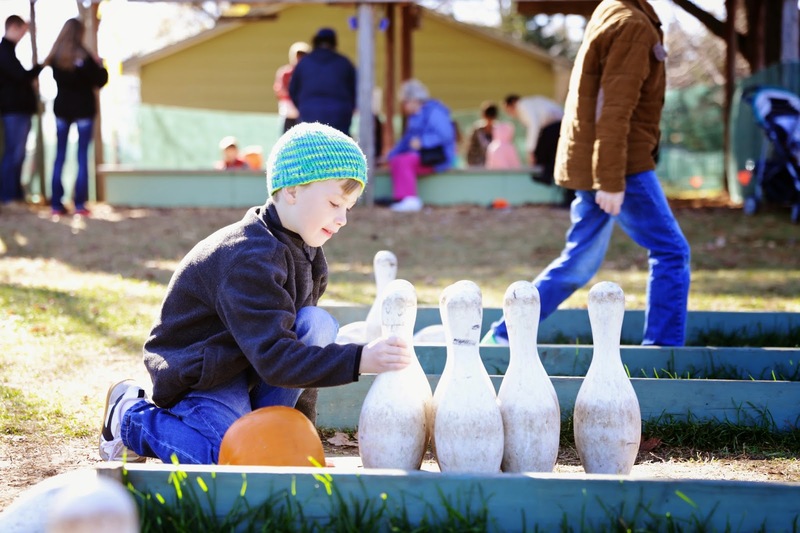 While we sipped on our pecan coffee and munched on pumpkin iced cookies, the boys had a ball playing tic tac toe and checkers with the minis and of course, a mighty fine not to mention hard working bowling game.